Social Media Saves The World, Literally. Again and again social networking has helped countless businesses gain vast promotion and exposure to their industry. Innately, this is nothing new. Current web finds have led me to discover that social networking can be used to help change the world. That’s right, with just a few clicks; You can help change the world for the better. Recently, I stumbled upon this awesome website called SocialVibe. Though the site has been launched since January 2007, over the course of time it has progressively developed. With over 1,750,000 members, it’s one of the leading social media sites used to connect with over forty different charities and non-profit organizations. 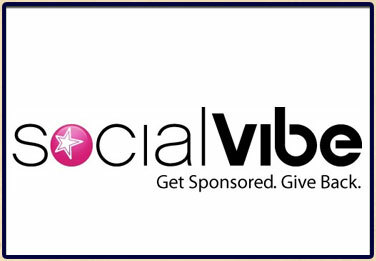 SocialVibe is a service that gives people an opportunity to use social media to make a real difference. All you have to do is sign up, pick a cause, choose a sponsor and place your badge. Once this is complete, you start earning points towards donations towards the charity of your choosing and various sponsor perks.